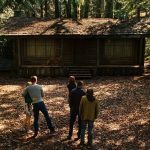 Joyce Glasser reviews Bad Times at the El Royale (October 12, 2018), Cert. 15, 141 min. 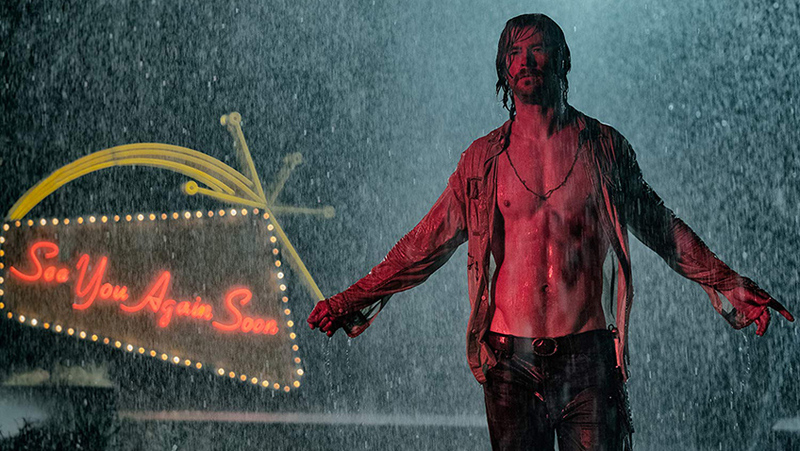 Fans of writer/producer/director Drew Goddard will bring a lot of good will to the cinema when they flock to Bad Times at the El Royale . Goddard has concocted a stylish neo-noir intended to stimulate our imaginations with inchoate references that weave fact, fiction and nostalgia into popular genres. Goddard wrote the Academy Award nominated screenplay for The Martian and co-wrote and directed the critically acclaimed comedy-horror film The Cabin in the Woods. That good will is needed because for all its merits, the film fails to exploit a fantastic premise and atmospheric setting. Four Corners Monument is the only place in the United States where you can stand in four states at the same time. But at Lake Tahoe’s Cal-Neva Resort, built in 1926 and rebuilt after a fire in 1937, you can sleep in California one night and in Nevada another without checking out. That is not why a man with a suitcase full of cash checks in to room 5 in the late 1950s. This whole episode is without dialogue. From 1930 the real-life resort became famous when a newspaper reported that the original ‘it girl’ actress Clare Bow cancelled cheques to the hotel worth $13,000. The unknown man is not writing out cheques, however, but stashing money under the floorboards of the soulless room that he begins to pace. Sometime later he opens the door, but he is not expecting whoever is standing there with a gun. Ten years later, a group of travellers who appear to have nothing in common arrive at the hotel, which looks abandoned. The tired 1960’s decor is in need of some serious investment. There is no one at the reception when the first three guests arrive but eventually the hotel’s sole employee, manager Miles Miller (Lewis Pullman) brushes off a rehearsed introduction and tries it out on the first guests in ages. 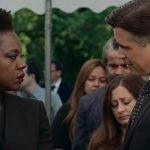 Darlene Sweet (Cynthia Erivo) is a former motown backup singer who, after years of abuse and low pay, hopes to make a name for herself in Reno. 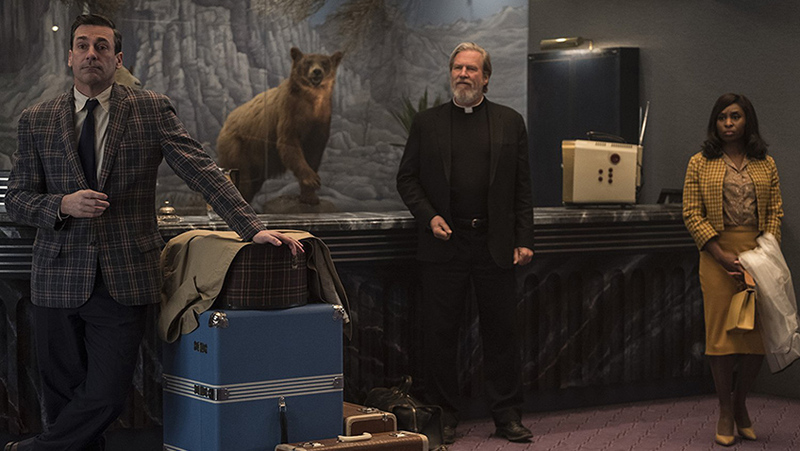 Father Daniel Flynn (Jeff Bridges) has about as much in common with a priest as Frank Sinatra, who bought the resort/casino in 1960 with Rat Pack friend Dean Martin and a mob gangster. 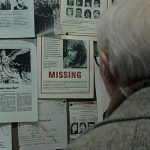 But the young and deceptively innocent Miller has such a burning need to seek absolution from a priest that, unlike Darlene, he fails to see through him. Those who live on the border of the two states know that the Nevada side of Lake Tahoe has a different atmosphere and clientele than the California side. The prices at the El Royale reflect the sunnier aspect of the California rooms, although Miles announces that those staying in Nevada can still use the California amenities. Guests are reminded that no alcohol is served on the Nevada side. Cinematographer Seamus McGarvey lights the hotel to emphasise the differences in the rooms, while the period songs, occasionally overly emphatic, transport us back to the late 1960s. The third guest is Laramie Seymour Sullivan (Jon Hamm) a slick vacuum cleaner salesman who offends Darlene with his sexist, and possibly racist, assumptions about cleaners. 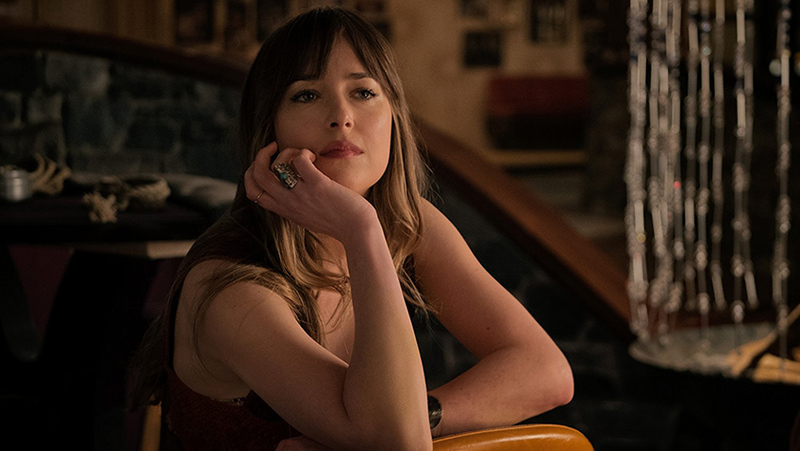 Like an Agatha Christie novel, where the suspects gather in a country house or hotel for introductions, the next person to arrive is Southern hippie Emily Summerspring (Dakota Johnson). Emily is less a femme fatale than an armed woman on the run. She signs the register ‘f***k you’ and later that evening to sneaks the youngest guest, Rose (Cailee Spaeny), into her room. Sullivan is adamant that he wants the Honeymoon Suite and once inside, he begins to remove electrical devices from every fixture and fitting in the room. As he dismantles the telephone, it becomes apparent that this is no ordinary salesman. Before checking in with his office he makes the mistake of witnessing what appears to be a kidnapping and we discover that the mirror in Emily’s room is actually a one- way observation window. A sound switch underneath facilitates surveillance. The film is at its best when we start to realise that no one is who they appear to be as the twists and turns deliver some surprising, if not always welcome, outcomes. In one of the best scenes in the film Father Flynn knocks on door number 5, to invite Darlene to join him for a bite to eat from the lobby vending machine. When Father Flynn admits that he fancies a drink at the (self-service) bar, he is disappointed that Darlene does not, and pressures her into having one when he returns for a top up. The scene develops with mounting suspense and a shocker of a pay-off. If only the last hour of the film were the same. When the demonic, charismatic cult leader Billy Lee, (Chris Hemsworth, Rush, Ghostbusters, Thor: Ragnarok) saunters into the hotel with his distracting bare torso first, and his fully armed acolytes second, you know where the story is heading and you don’t want to follow. Somewhere along the line Goddard seems to have lost the plot and compromised a brilliant opportunity to introduce another iconic hotel into the annals of cinema. The Bates Motel in Psycho, The Plaza in North by Northwest, The Overlook Hotel in The Shining and the eponymous The Grand Budapest Hotel are characters in their respective films as well as locations. Surely this should have been the case with the El Royale, too. But the hotel always looks like a back lot film set, and not a particularly intriguing one, either.